1.Decentralized OTC service (it will be called swaps). It’s our first experience to create a unique design for a specific smart contract. Development (for Ethereum) is in progress. Smart contract development is completed. Overall status: 70% ready. Planned release date: the 5th of April. 2. All our services: tron.mywish.io, eos.mywish.io & contracts.mywish.io will be integrated into one site (contracts.mywish.io). Users will be able to pay by WISH, TRONISH or EOSISH for the contracts. Planned release date: the 10th of April. 3. We are continuing TRONISH distribution. 4,000,000 TRONISH were distributed already. Last day of distribution will be on the 1st of April. 1. Please welcome TRONISH latest achievement, our TRON-based token is officially listed on JOYSO. With more than 7,526,962 TRX daily volume, JOYSO managed to own a place among the best TRON exchanges. If you want to create your own TRON smart contract and start your business, or if you want to own a long-term investment, you should buy TRONISH now. 2. We had an e-meeting with some leading companies in the EOS community such as EOSPHERE and TRYBE. They were interested to discuss the future of the smart contract on MyWish and how we can develop smart contracts to help the EOS community to grow. 3. 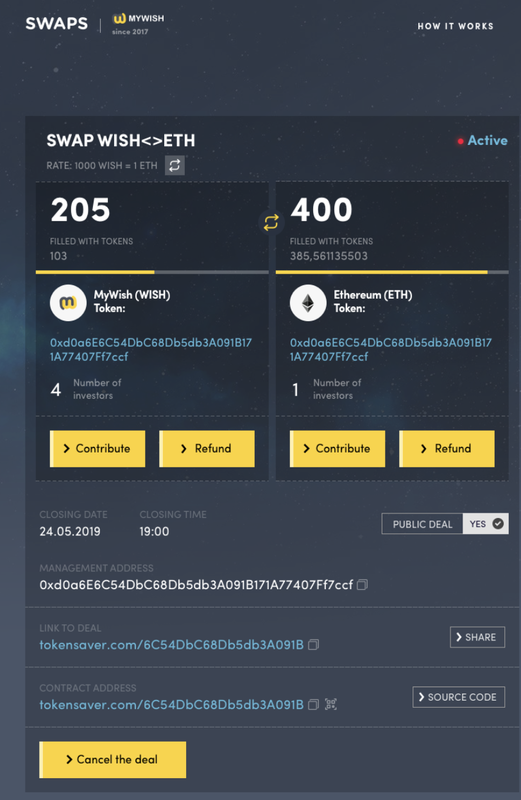 As we promised you, we are ready to distribute 22% of WISH tokens that our users lost after the Cryptopia hacking incident. We have contacted Cryptopia team and we have received a response from them, the team is so busy with the police investigation, however, they are ready to help and we will discuss with them the distribution of the lost WISH tokens to our users. 4. If you are planning to deploy your own smart contract, Now is the right time to do it! MyWish offers 40% spring discount on all types of smart contracts until the 1st of April. 5. 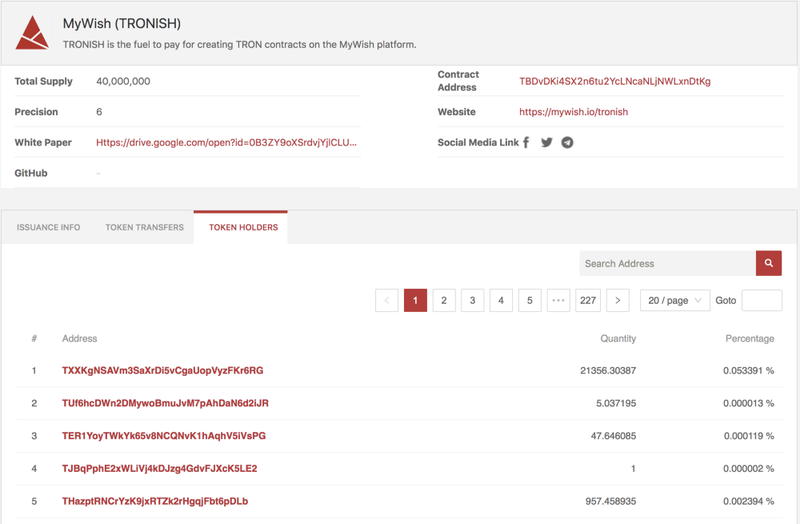 Yesterday, users deployed the first 3 Token contracts on the TRON Mainnet. We believe that more and more projects will use the TRON blockchain in the very near future. 6. During the past week, we have improved our mailing service, we have sent info about our spring discount to all of our users “7000 users”, we will use the service whenever we want to notify users about offers and discounts. 8. During the week we have conducted some e-meetings with main players in the Crypto world, such as TRON, WAVES, NEO, Huobi Russia and Binance. We are studying the existing opportunities now, and we will update you soon, so stay tuned.